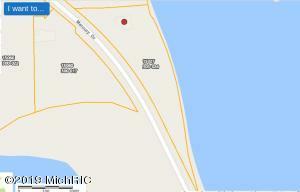 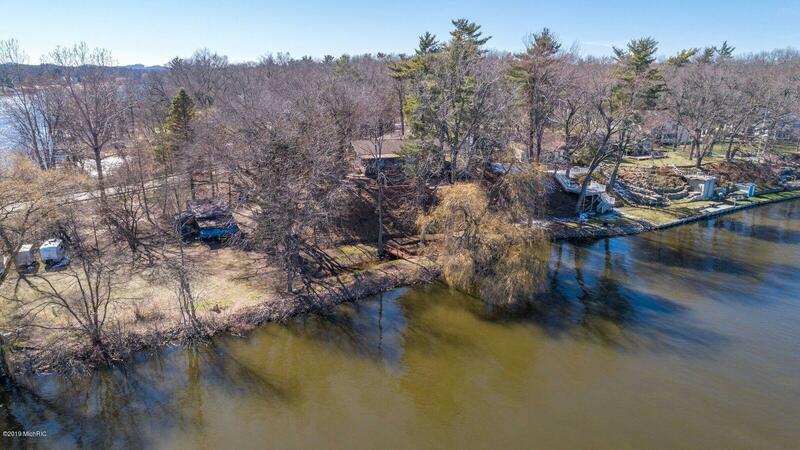 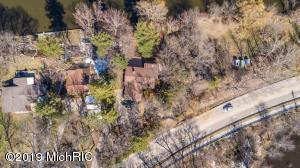 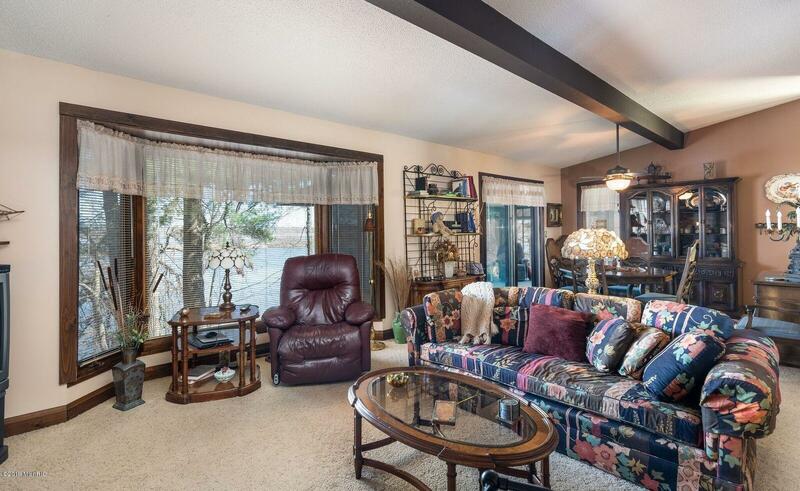 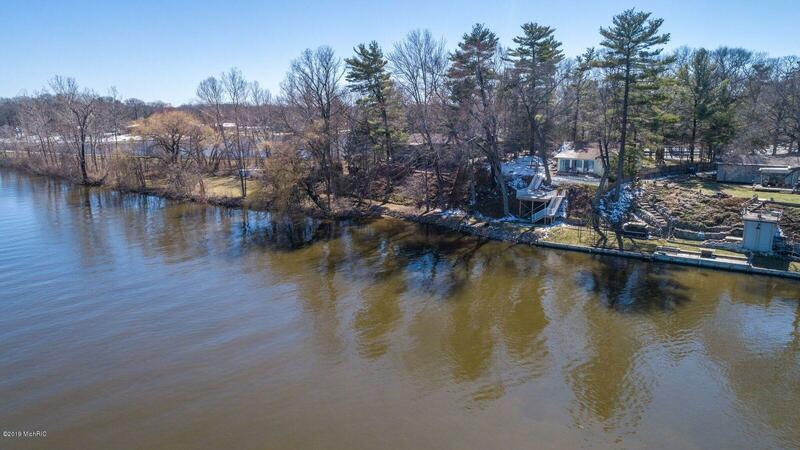 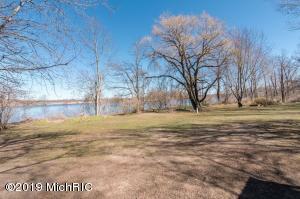 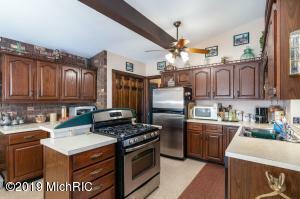 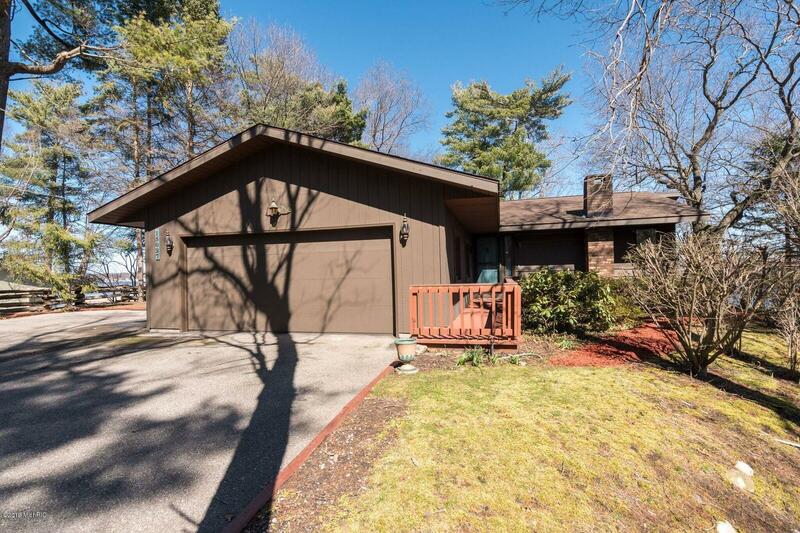 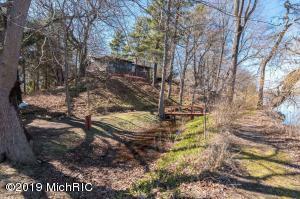 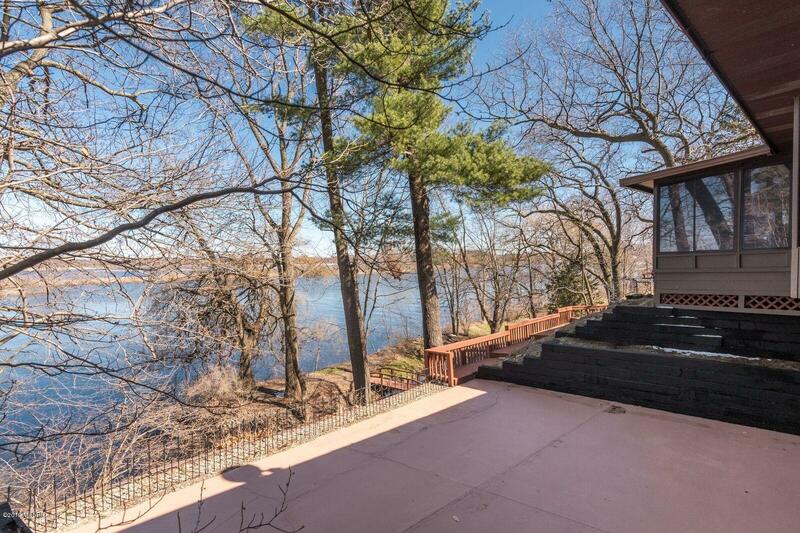 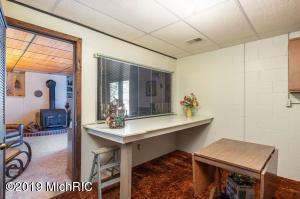 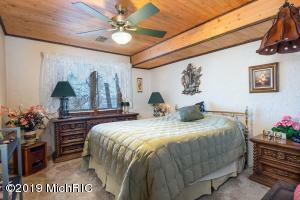 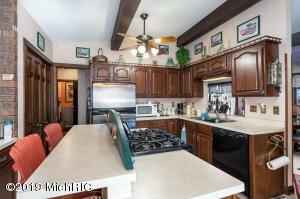 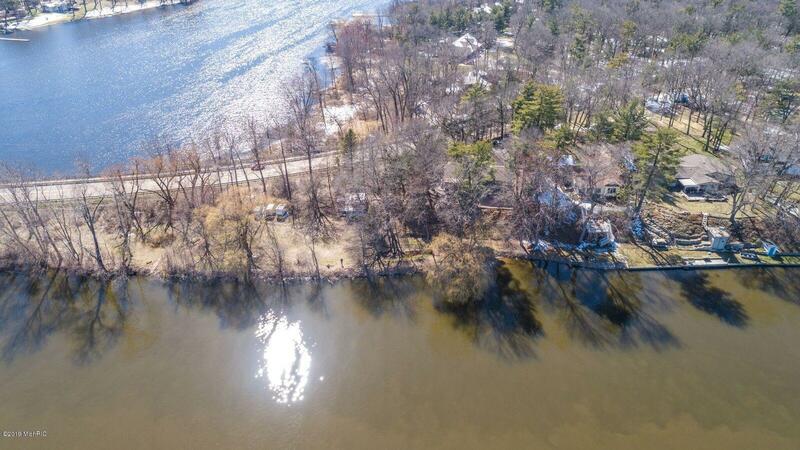 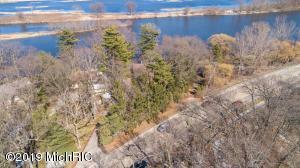 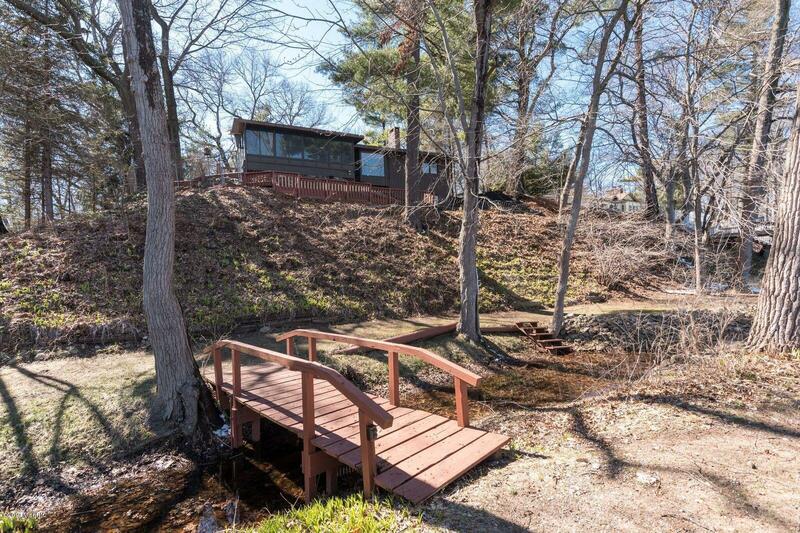 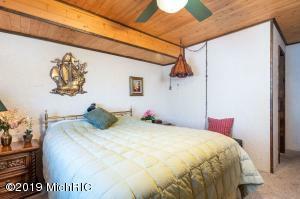 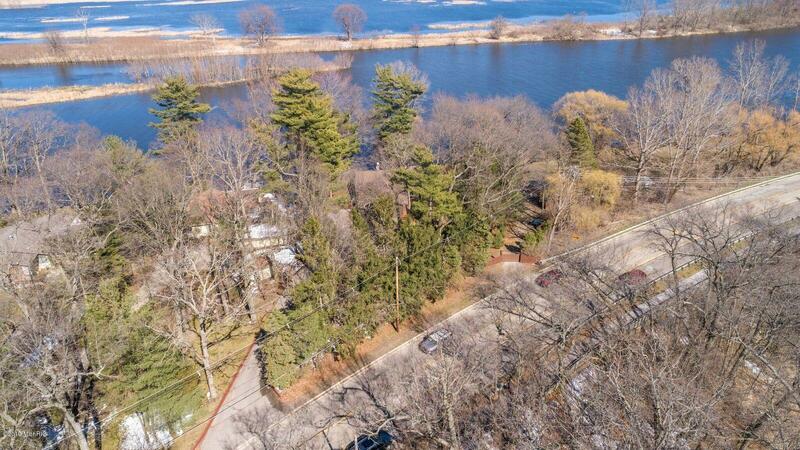 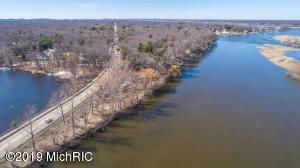 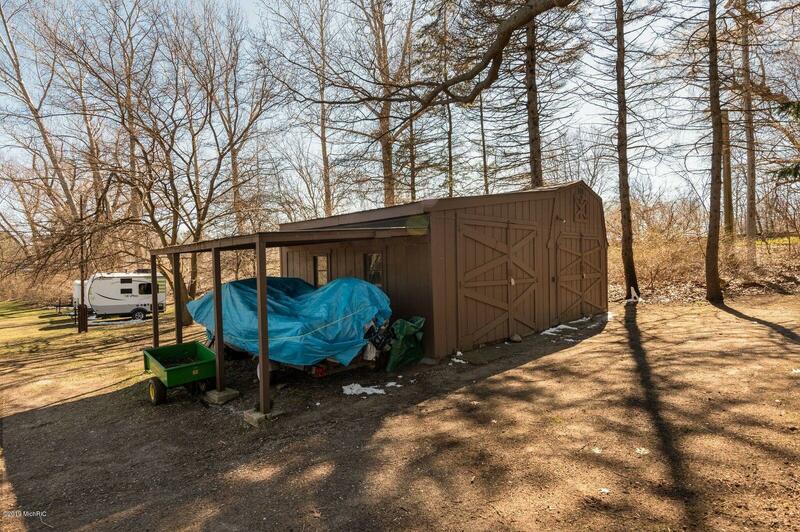 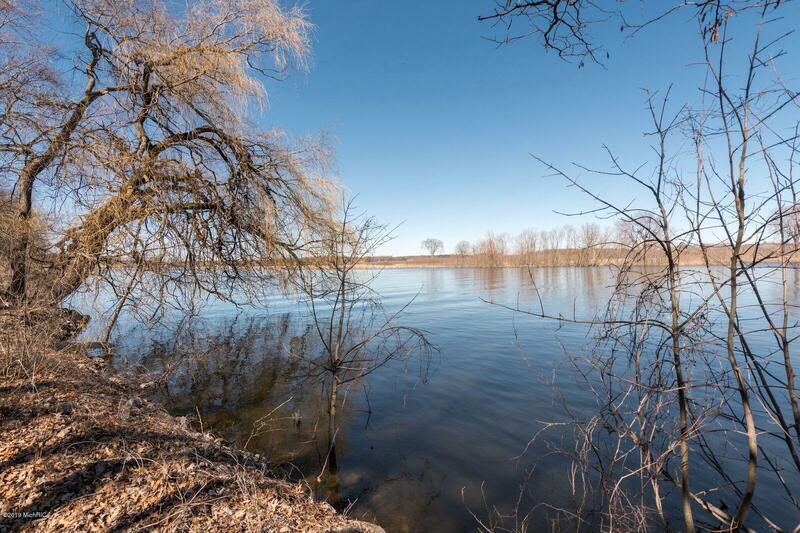 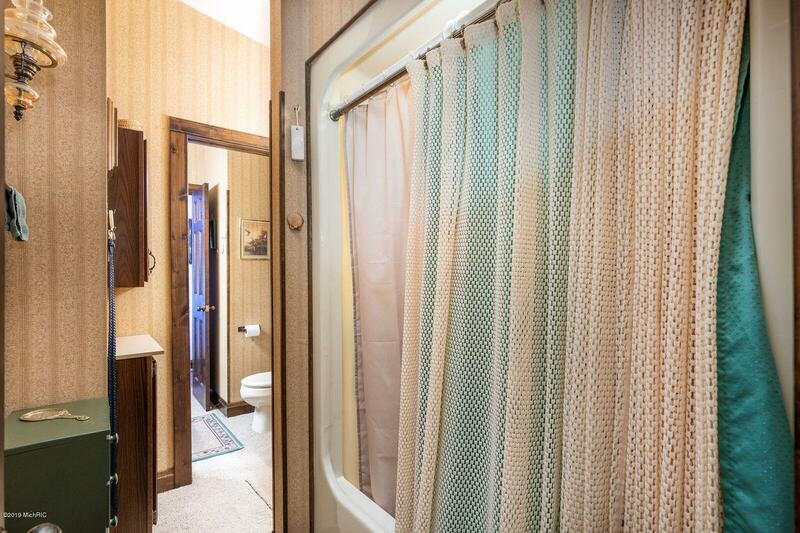 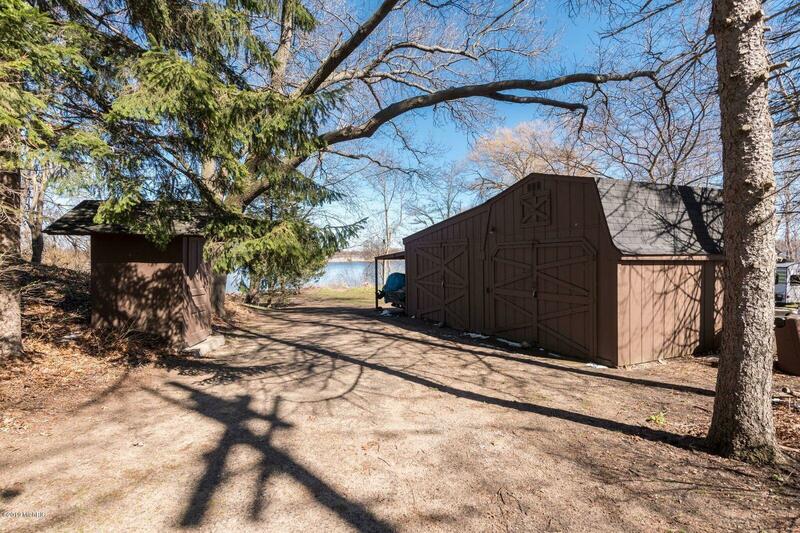 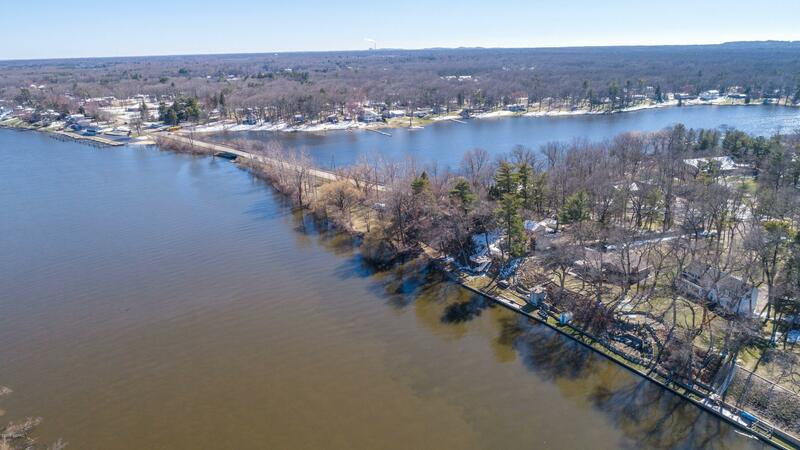 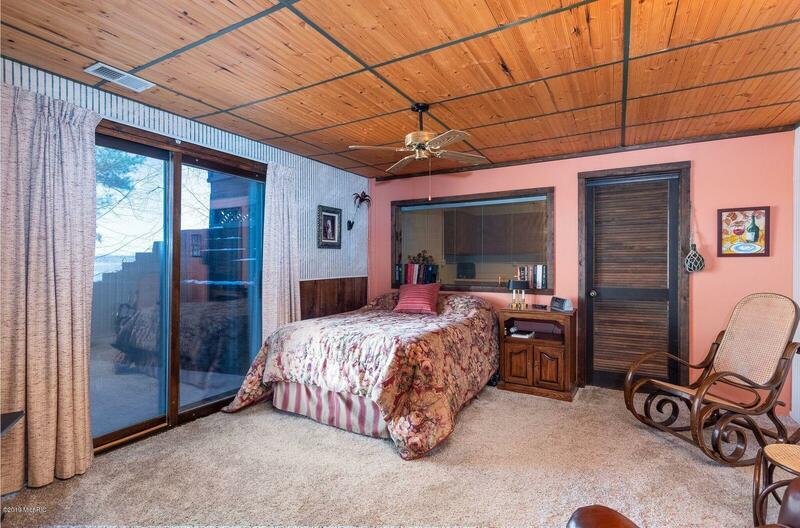 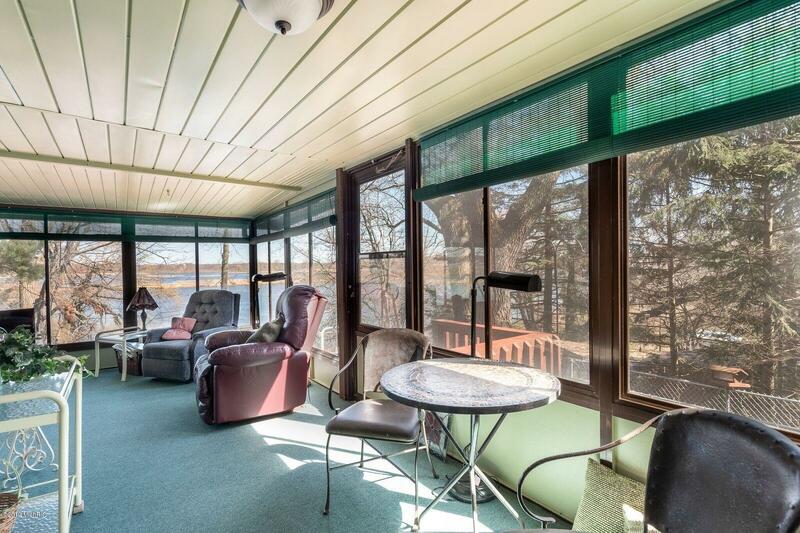 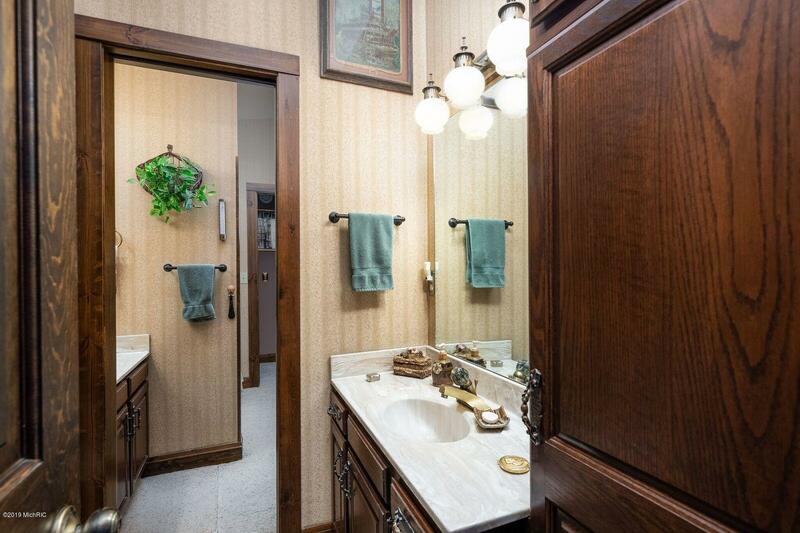 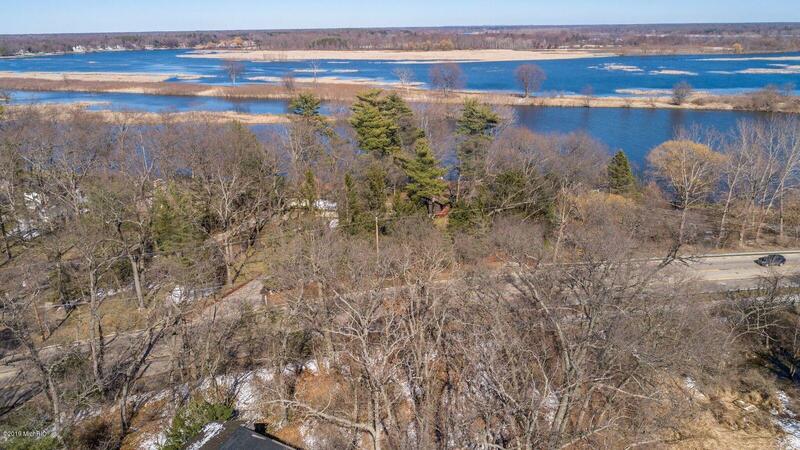 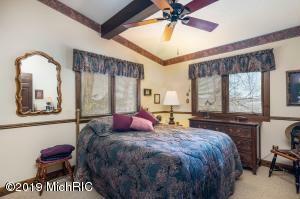 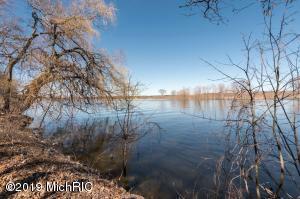 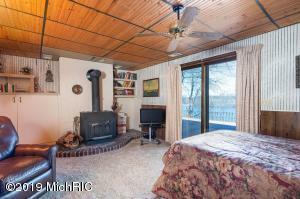 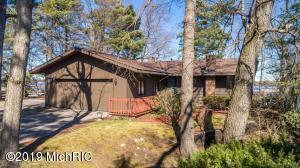 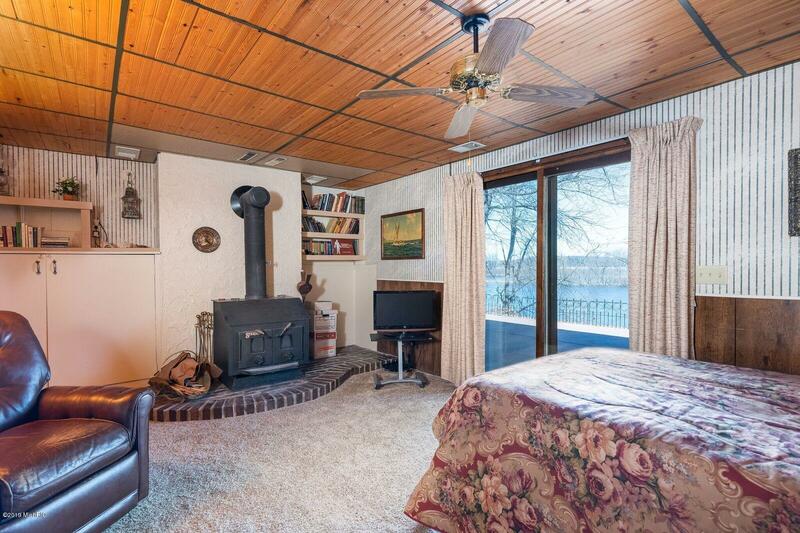 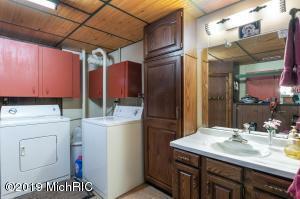 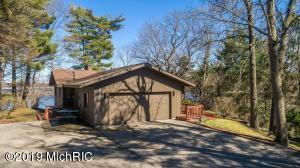 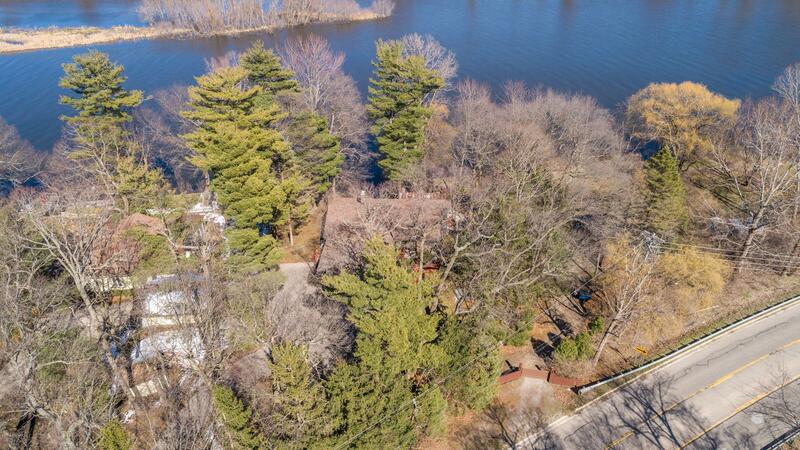 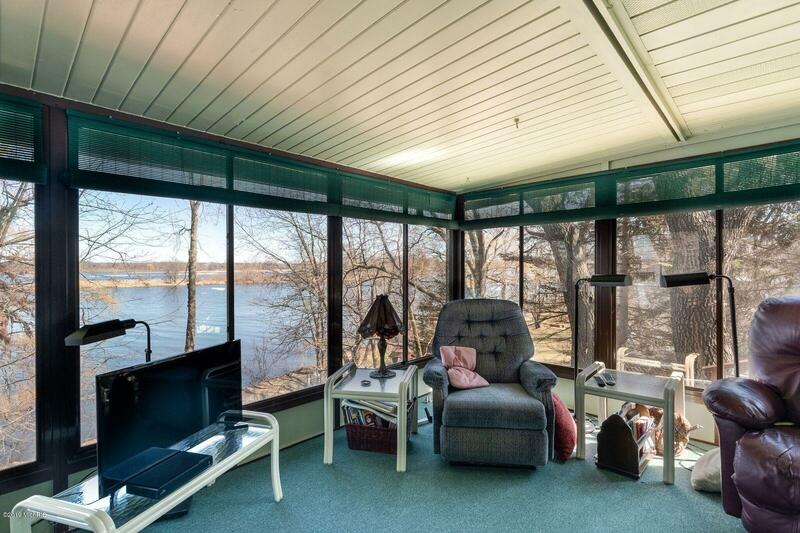 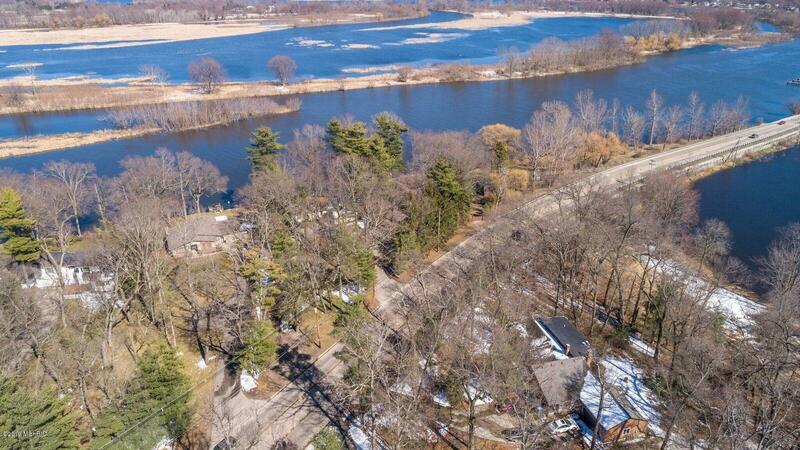 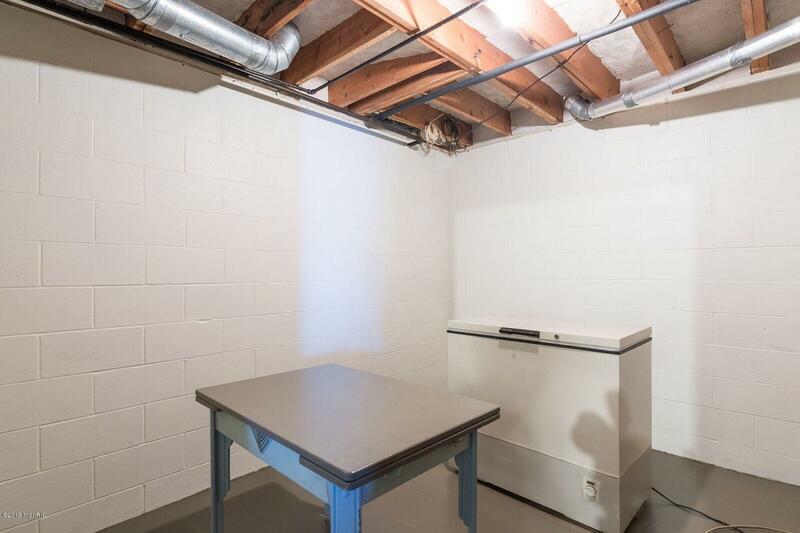 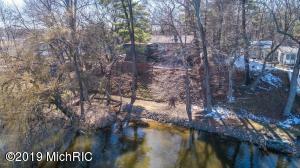 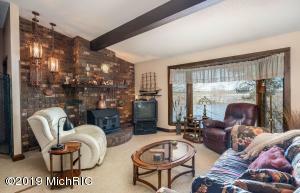 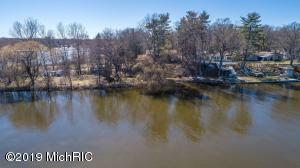 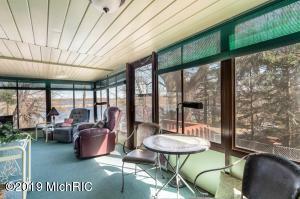 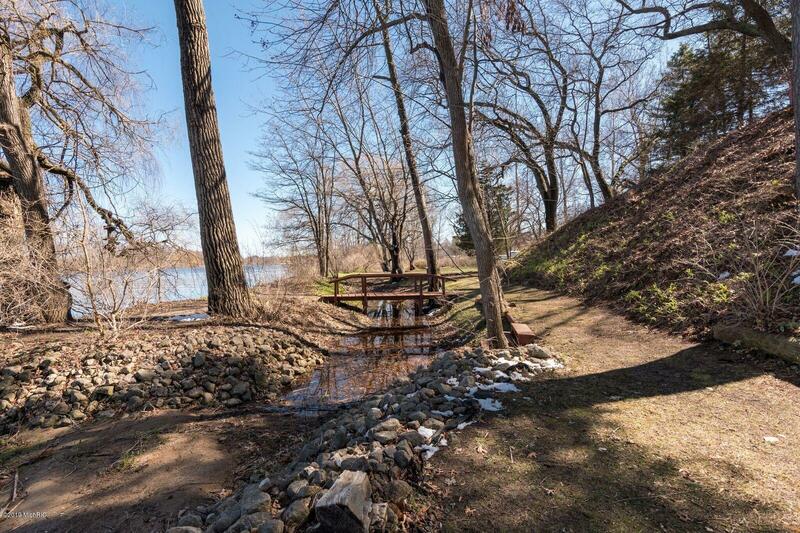 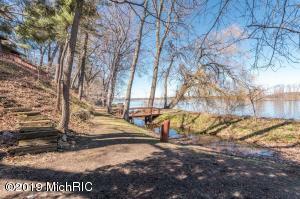 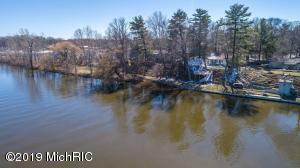 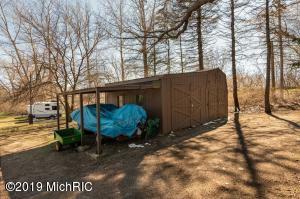 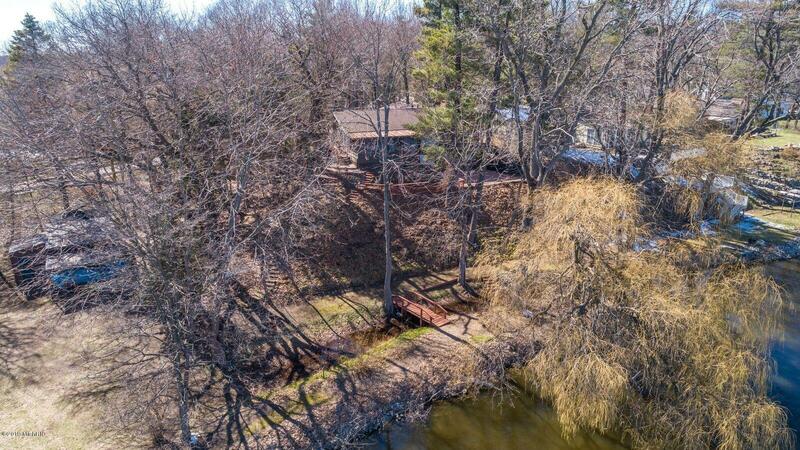 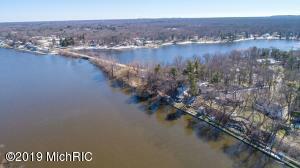 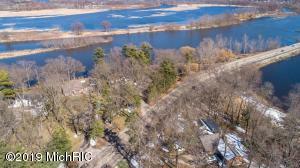 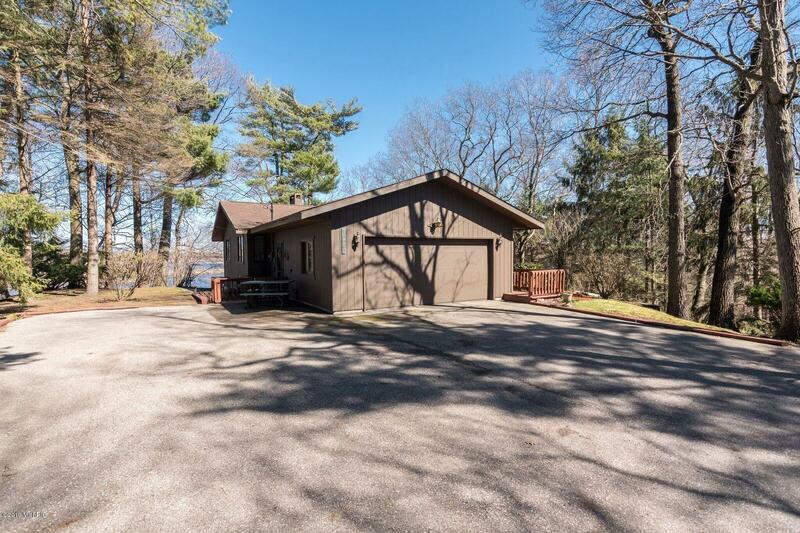 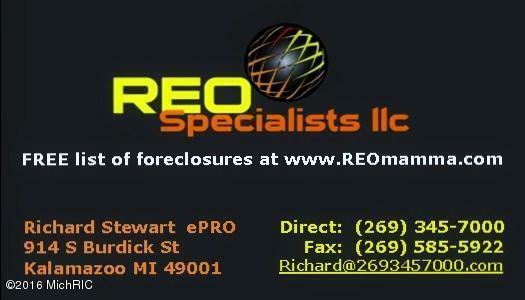 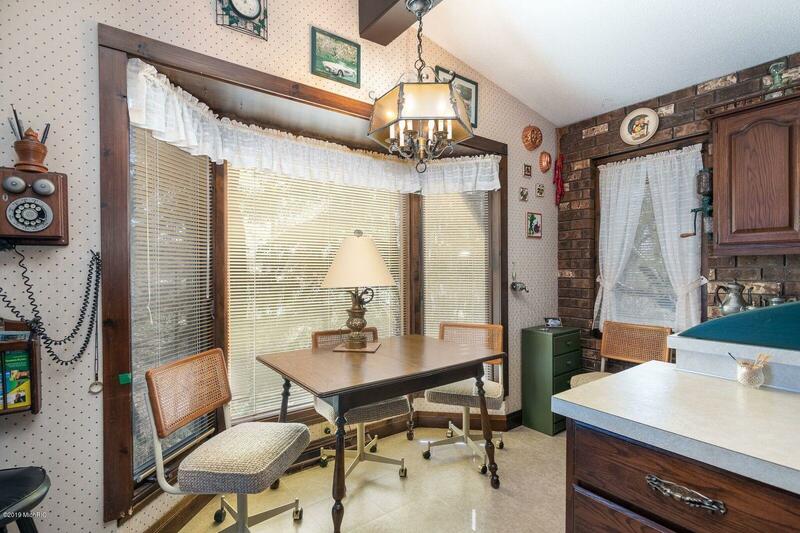 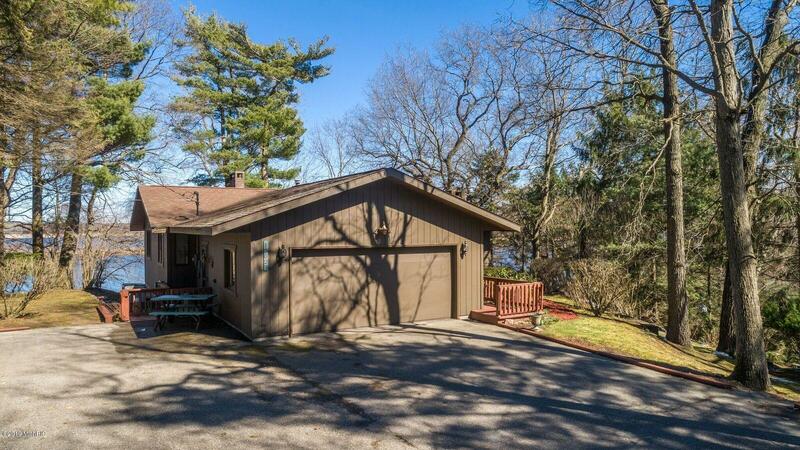 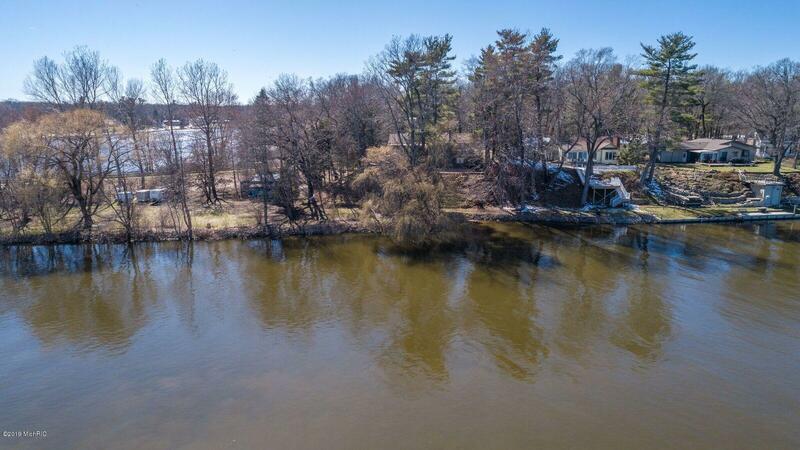 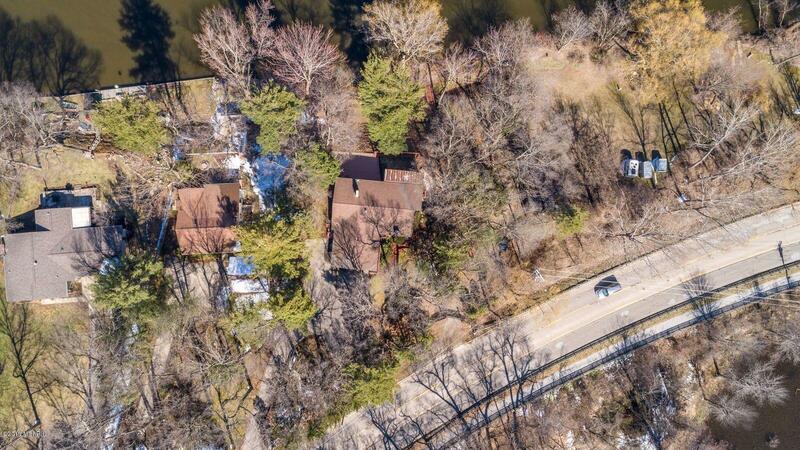 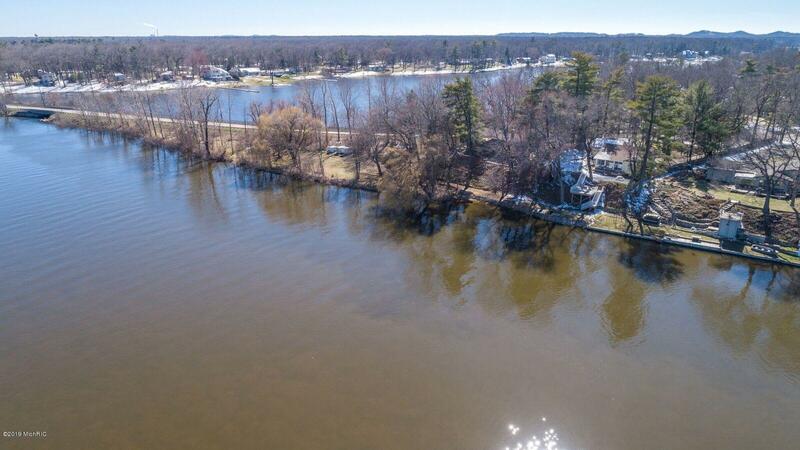 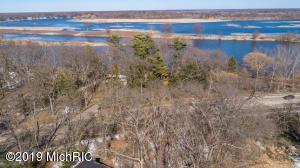 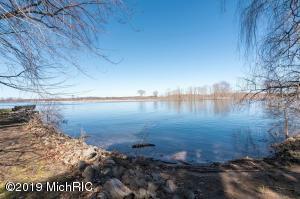 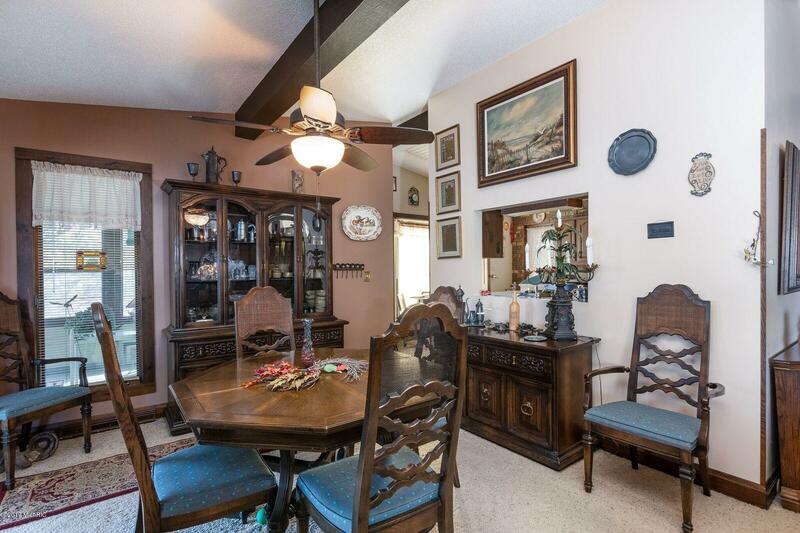 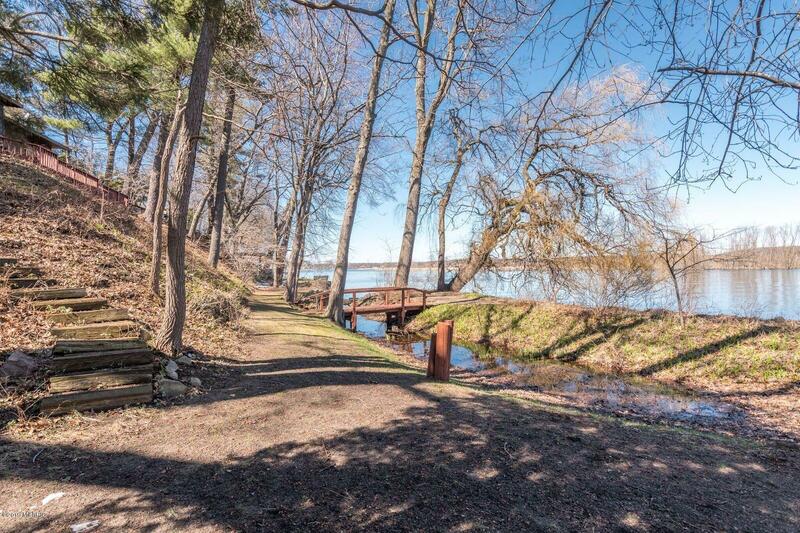 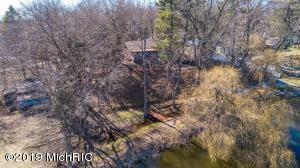 Incredible opportunity to own over 1, 000 feet of deep Grand River frontage. This contemporary ranch features cathedral ceilings with 10'' wood beams throughout, as well as a finished walkout basement. 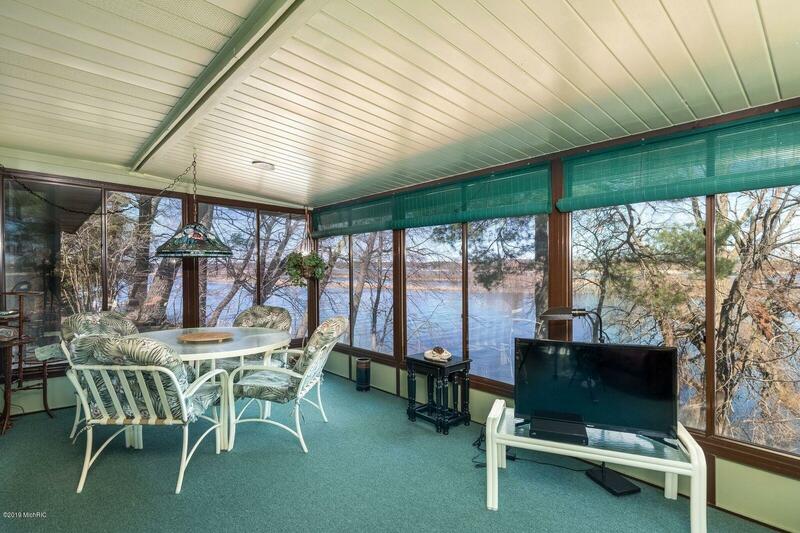 It sits at the highest level facing the deepest point of the riveroffering unparalleled panoramic water views from every window. 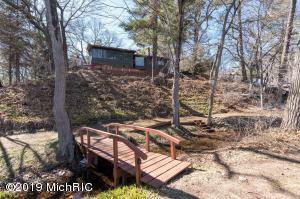 This beautiful natural setting is surrounded by native trees and tall pines.